This spring, from March 19-21, 2017, National Bridal Market Chicago will be hosting multiple educational opportunities along with complimentary events each day. The events kick off with Mon Cheri CEO Steve Lang presenting Mon Cheri Academy on Sat. March 18, one day prior to market. To reserve your spot, e-mail mgater@mcbridals.com for a registration form. On Mon. 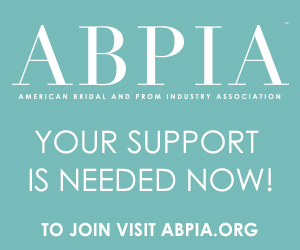 March 20 at 8 a.m., attendees are invited to join Sarah Ryan, Editor-in-Chief and Amy Allen, Publisher of Modern Luxury Weddings Magazine.The duo will discuss industry trends and share their expertise on how to connect with today’s brides. Coffee and breakfast will be provided for attendees. Entertainment will also play a large role in the March show. For the duration of market, the Casablanca Lounge, located in the center of the show floor, will play host to multiple events each day including complimentary morning coffee, a mimosa toast, Bloody Mary bar and happy hour. Complimentary buyer lunches in the 7th Floor Café will also be served right on the show floor. 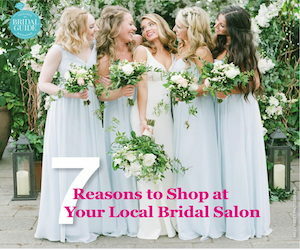 On Sun., March 19 at 5 p.m. the National Bridal Market Chicago will host a Floor Party featuring favorites from local Chicago restaurants and cocktails for Buyers & Exhibitors. Improvements on the newly renovated trade show floor include new walls, carpet, furniture, LED lighting and complimentary Wi-Fi throughout. To make planning easier, the market has introduced a new online directory featuring brand categories, search features, website links, social-media links and photography. This past June, theMart unveiled transformative renovations to the building.The Grand Stair is a communal space connecting theMart’s first and second floors. Buyer Registration is conveniently located on the first floor at the base of the Grand Stair.